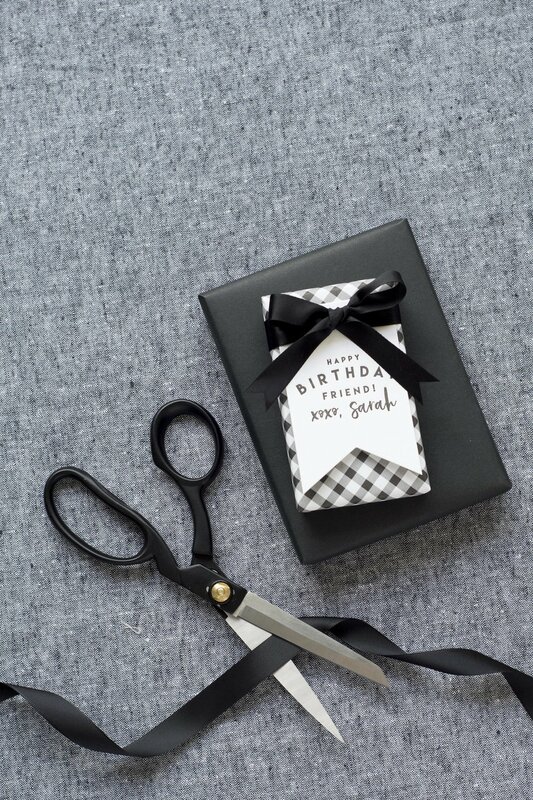 The addition of 20 super luxe, duplexed papers truly brings Personalized Gift Tags to the next level! Our pure white paper stock is duplexed with twenty new colored papers and available in every one of our tag shapes (including the new skinny, stocking, star and snowman!) With these fabulous options, there is just no doubt that your customer will have the best gift at every party! Our tags can be customized using all of our fonts, monograms, motifs, letterpress inks and foil colors making the design possibilities nearly endless! 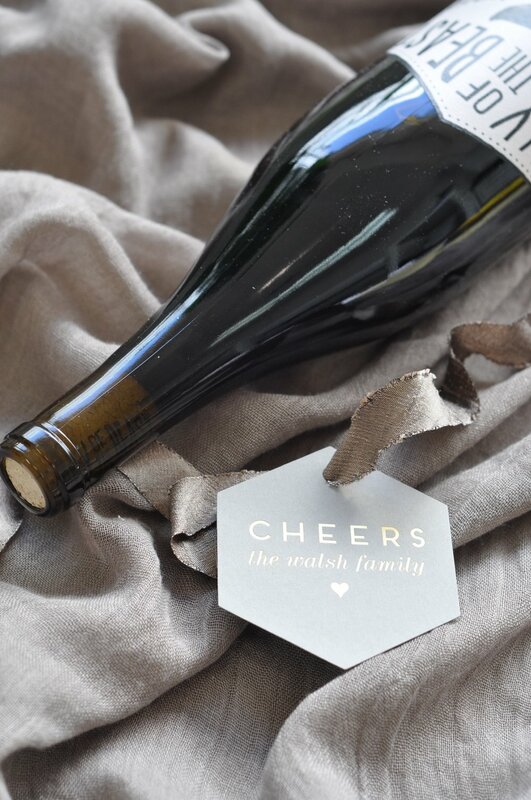 Whether they’re the finishing touch to a perfectly wrapped present or simply bowed to a bottle of wine, they’re a gift giving necessity year round! All of our printing is done in house, which ensures great quality & fast processing at an affordable price! Personalized Gift Tags are available letterpress printed on premium cotton papers or foil stamped on one of 42!!! paper colors.